Republican Rep. Tom Graves of Georgia sent President Obama a letter today questioning the constitutionality of the president's use of a device called an autopen to sign into law an extension of the Patriot Act. 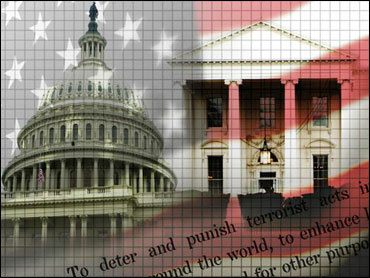 Congress passed the bill Thursday night, shortly before certain provisions of the Patriot Act were set to expire. However, Mr. Obama could not sign the bill right away in person, since he was in Europe for the G8 Summit. In order to sign the bill before the measures expired, he authorized the use of the autopen machine, which holds a pen and signs his actual signature. The White House said Mr. Obama reviewed and approved the bill before authorizing the use of the autopen. The White House also highlighted the fact that the White House Office of Legal Counsel in 2005 determined that the use of the autopen was constitutional. Still, Graves wrote to the president to request confirmation that he reviewed the legislation before the autopen signing, as well as "a detailed, written explanation of your Constitutional authority to assign a surrogate the responsibility of signing bills passed by Congress into law." In an additional statement today explaining the letter, Graves said the use of the autopen could set a "dangerous precedent." "Any number of circumstances could arise in the future where the public could question whether or not the president authorized the use of an autopen," he said. "For example, if the president is hospitalized and not fully alert, can a group of aggressive Cabinet members interpret a wink or a squeeze of the hand as approval of an autopen signing?" Graves said he at first thought reports of the use of the autopen were "a joke."